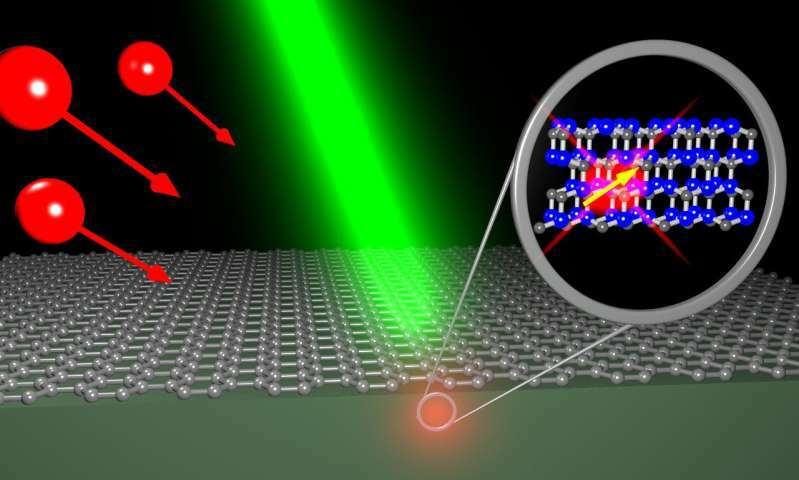 Now, a group of researchers has created a list of "recipes" physicists can use to create specific types of defects with desired optical properties in SiC. In one of the first attempts to systematically explore color centers, the group used proton irradiation techniques to create the color centers in silicon carbide. They adjusted proton dose and temperature to find the right conditions that reliably produce the desired type of color center. The team reports their findings in Applied Physics Letters. To create the defects, Michael Krieger and his colleagues bombarded SiC samples with protons. The team then let the SiC go through a heating phase called annealing. "We're doing a lot of damage to these crystals," Krieger said. "However, during annealing, the crystal structure recovers, but defects are also formed—some of them are the desired color centers." To ensure that their recipes are compatible with usual semiconductor technology, the group opted to use proton irradiation. Moreover, this approach doesn't require electron accelerators or nuclear reactors like other techniques used to create color centers. Studying the defects' low-temperature photoluminescence spectra led the team to discover three previously unreported signatures. The three temperature-stable (TS) lines were shown to correlate with proton dose and annealing temperature.